Top of Guilherme Finkler's list for Santa Claus is a win against the Newcastle Jets as Melbourne Victory prepare to train on Christmas Day. Victory suffered their first defeat of the 2014-15 Hyundai A-League season in the Melbourne derby last weekend, prompting the players and coaching staff to redouble their efforts with three games remaining before the break for the Asian Cup. And while the squad will be back at Gosch's Paddock as their supporters enjoy time off with friends and family on Thursday, the Brazilian playmaker and his fellow professionals are used to making sacrifices during the festive period. "It's business (as usual), we need to prepare for the game on Saturday," he said. "Everyone is really focused to be here tomorrow, to be very, very prepared for Saturday. "If you've been in soccer for such a long time you get used to (it), it's a special day but it's special for us to be on the park as well. It doesn't matter." 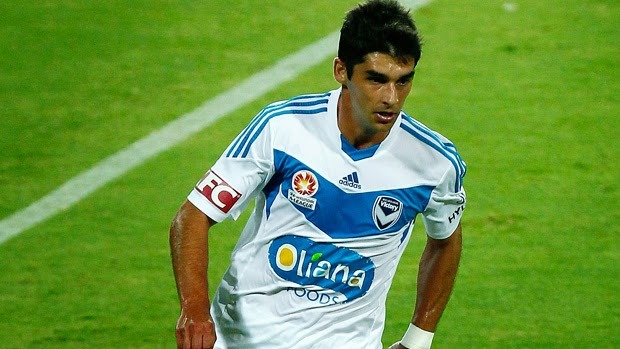 Asked what he wanted for Christmas, Finkler didn't hesitate: "Three points on Saturday." It remains to be seen if a return to the first team will be wrapped up and waiting for the Victory's No.7, who had to make do with a role off the bench in the 1-0 loss to City. "This is up to Musky. Everyone's been working hard. It's a good headache for him." Groin soreness caused Finkler to miss matches away to Central Coast and at home to Sydney FC, but the 29-year-old claims to be back to full fitness and hopes that an enforced stint on the sidelines will serve him well ahead of games against the Jets, league leaders Perth Glory and Western Sydney Wanderers. "I felt good when I came on, I've been training hard this week and last week too," he said. "My body feels much better than it was. I think I needed that break and I'm feeling fresh. Hopefully I can play more on Saturday."